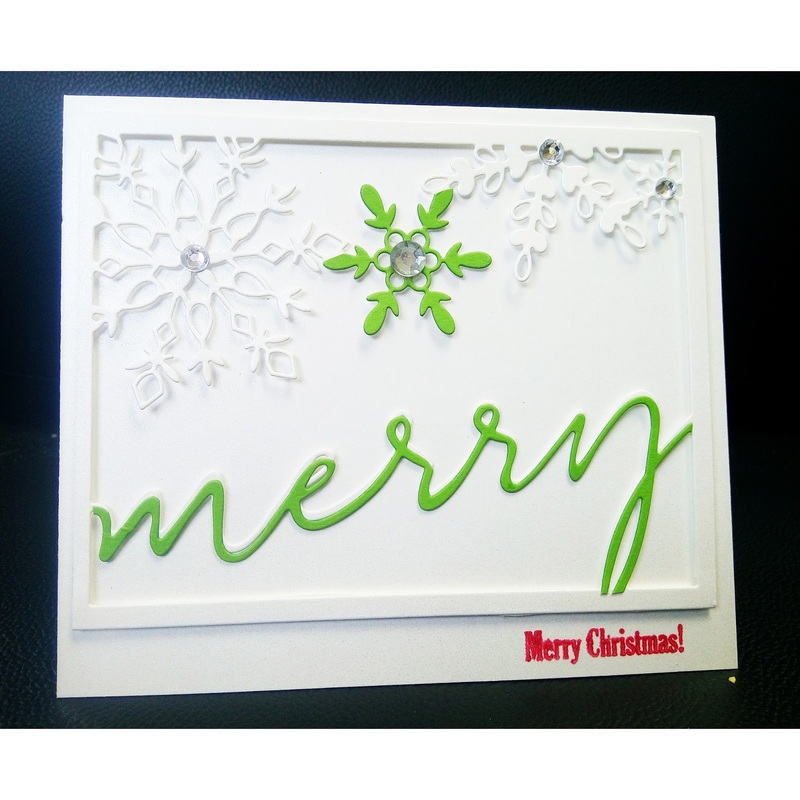 Dies R Us: Merry Merry Christmas Card! 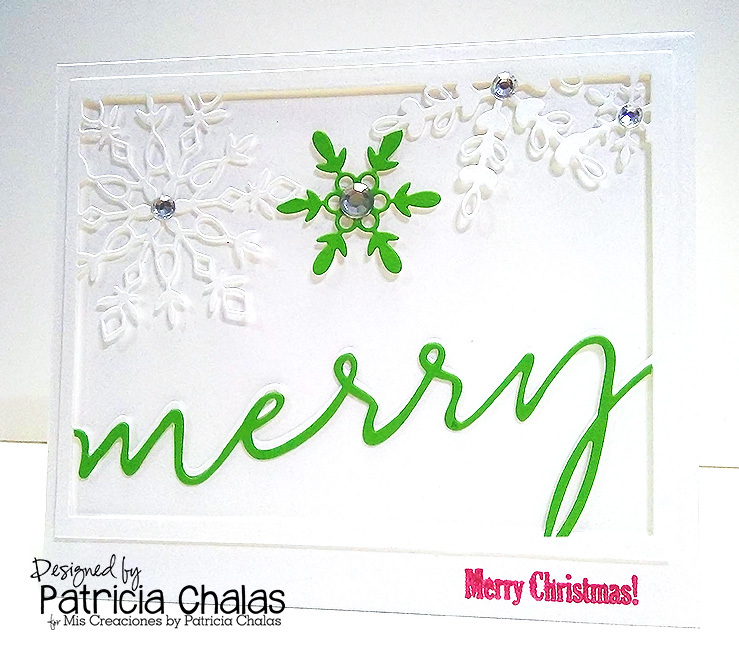 Hello, Patricia here with you today to share a Special card I created that I am in love with!! I am thrilled that you stopped by today! I started my 6 x 6 Size card using pearlized white cardstock, I die cut on pearlize white cardstock my new FAV Oh So Merry Frame from Memory Box and also die cut it using green CS. I added the complete Oh so Merry Frame to the front of my card using double side depth tape so give the layer some depth. And cut out from the green peace the Merry and the center snowflake to give the front some depth. Then added the clear rhinestones using 2 sizes and the Merry Christmas stamped using Poppy Red ink. I just love the outcome of this card, I will be creating this same in different colors!! 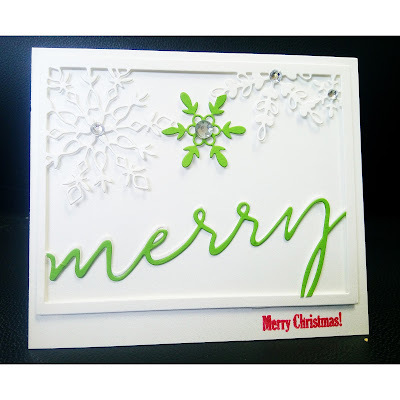 What a gorgeous CAS Christmas card this die makes! I love how you have highlighted the snowflake and 'merry' in green, it really makes them pop. LOVE that BIG Merry, especially in green, it really POPS!!! This is so pretty! Love that fresh green "Merry"! The touch of red ties the Christmas colors all together. Beautiful die frame with such intricate snowflakes. so pretty, I love the pop of color you brought to it too! Love this beauty! Feels very festive and elegant!